Manganese-doped biphasic calcium phosphate (Mn-doped BCP) powders have been synthesized via sol-gel technique. The Mn-doped BCP powders were studied for their phase behaviour at different concentrations of Mn (0, 0.01, 2, 5 and 15 mol%) and calcination temperatures (500-1200 degrees C). For all the Mn concentrations, the X-ray diffraction (XRD) revealed that only hydroxyapatite (HA) and beta-tricalcium phosphate (beta-TCP) phases were present. It was shown that the HA crystallinity increased with increase in Mn content. Moreover, the weight loss at 700-850 degrees C detected by thermogravimetric analysis confirmed the presence of biphasic mixtures in the BCP powders. The study on effect of calcination temperature was done on the pure BCP and 5 mol% Mn-BCP powder. The XRD revealed that the decomposition of HA to TCP took place at the temperature range of 700-800 degrees C. Fourier transform infrared spectroscopy and XRD measurements found that HA peaks increased with the increasing Mn content and temperature. This was also accompanied by the enlarging particles at higher calcination temperatures and Mn contents due to fusion of agglomerated particles. These findings have led to the conclusion that Mn has acted as a calcination additive for the BCP powder.  Copyright (c) 2010 Curtin University of Technology and John Wiley & Sons, Ltd.